spun :: Hello Yarn Finn, originally uploaded by earthchick. 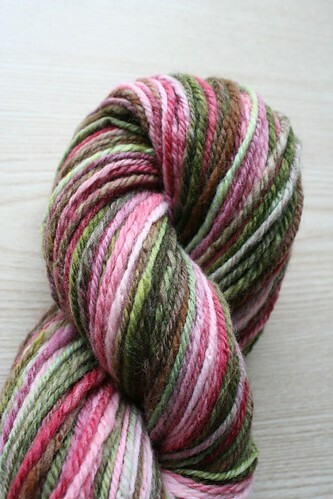 So I’ve been spinning all my holy grail fibers lately, and I would be hard-pressed to name one more precious to me than this one. I knew I wanted to chain-ply it for socks. I also knew that, at the time, I wasn’t very confident in my chain-plying skills. In fact, it was only recently (as in, the last month!) that I began to feel like I could tackle chain-plying, which turns out to actually be easy-peasy. So I finally pulled this baby out. I split it down the middle vertically, in hopes of getting two equal amounts of fiber, for matching socks. 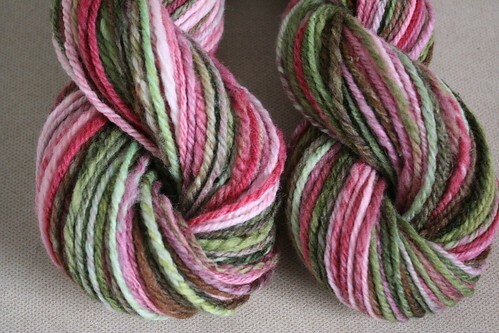 But I didn’t get the split exactly right – the skein on the left is 2.2. oz, the skein on the right is 1.8. 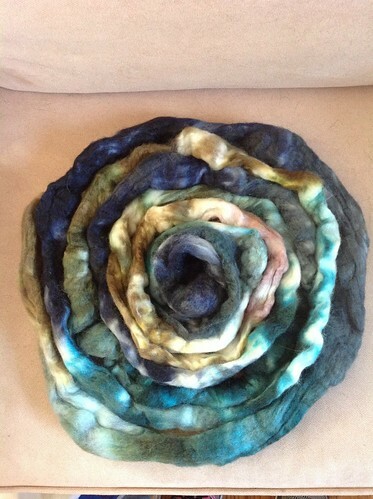 I also ended up spinning the second skein (the one on the right) slightly thinner. Oh well, live and learn. I think I can make it come out even in the knitting. I ended up with 240 yards of DK chain-ply, and I am ridiculously happy with it. With the exception of not splitting the fiber perfectly evenly, it came out exactly as I’d hoped. LOVE those colors, and I look forward to a sweet pair of socks. 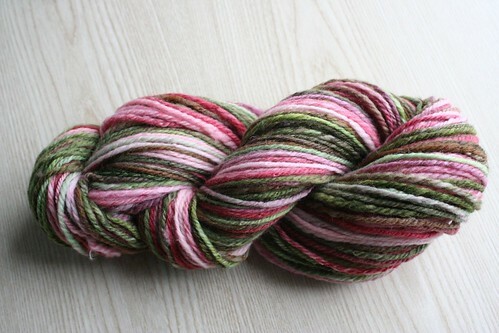 Including this yarn, I’ve now spun 2.25 lbs. of fiber so far this year (out of a goal of 13 lbs. for the year). 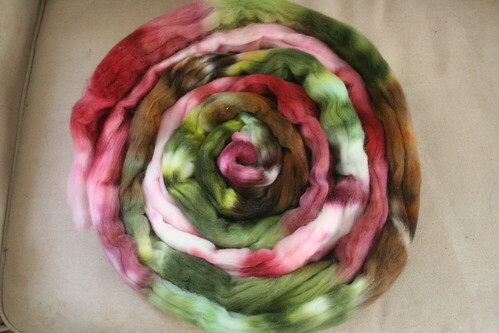 Sadly, I haven’t spun anything since this one! (i.e., in more than a week) I’ve had very little time (work, writing a paper for a doctoral class, training for a half-marathon – these things interfere with my sitting-around time! ), and what time I’ve had I’ve been trying to finish up mittens for my kids. I have 1.5 lbs. of it and have plans to make it into a Game of Thrones-inspired sweater (the colorway itself is also GoT-inspired). I’m pretty excited about it, and I hope to get on it soon, in happy anticipation of the next season of GoT. I’m always so jealous of your accomplishments!